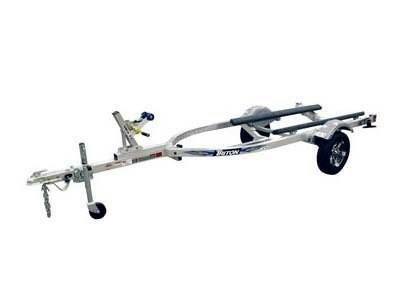 Triton's LTWCI-TX is a single place aluminum trailer to haul your personal watercraft. This LT series trailer has a four cord rubber torsion axle for a smoother ride and suspension protection from the elements. This trailer is a workhorse for one seater up to three seater PWC's. The cradled design and all the adjustability will provide many years of worry free use and it tows like a dream.